The Providence Preservation Society’s most endangered properties are being highlighted at a photography exhibit at the Peerless Lofts on Westminster Street. 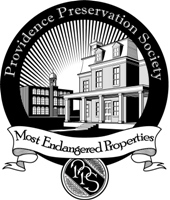 The Providence Preservation Society’s acclaimed annual Most Endangered Properties Photography Exhibit will appear September 10 through October 10 in the atrium of the historic Peerless Building at 150 Union Street in downtown Providence. This collaborative effort between PPS and the Arts & Business Council of Rhode Island is a unique form of historic preservation advocacy through fine art. The show features the work of local professional photographers and will include a “Gallery Night Providence” reception on Thursday, September 17, 5:30-9:00pm.